The simple beauty of Saturn's rings—curving lines of varied shades that have surrounded the planet for eons—is captured in visible light. 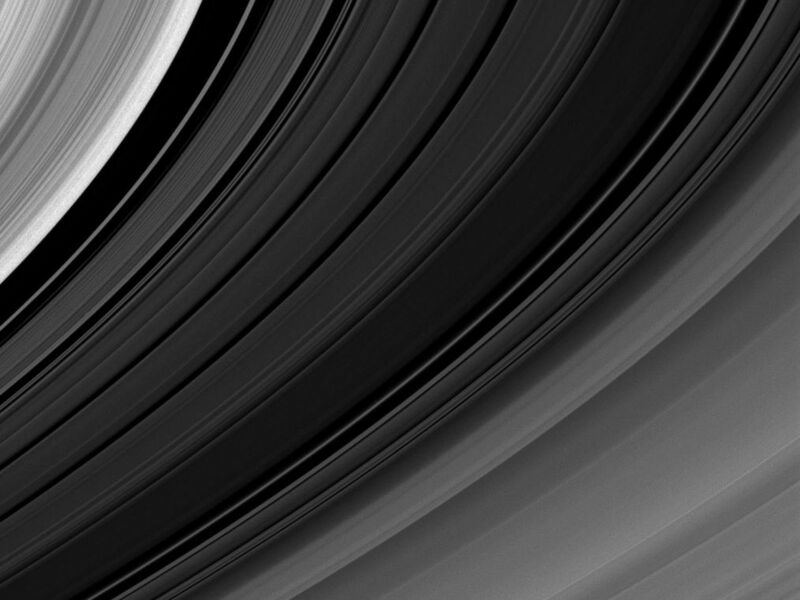 The white edge of the B ring and the black of the Huygens Gap are on the left. 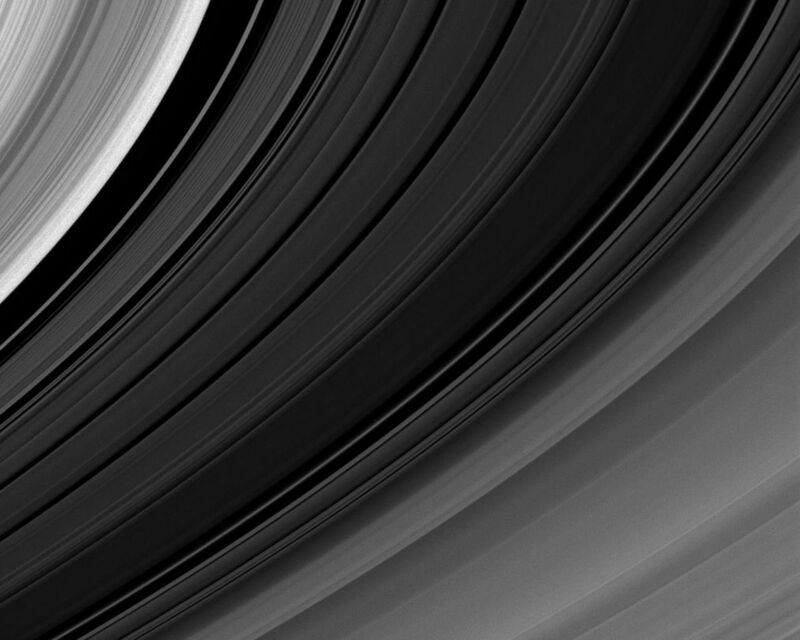 This view looks toward the sunlit side of the rings from about 7 degrees below the ringplane. 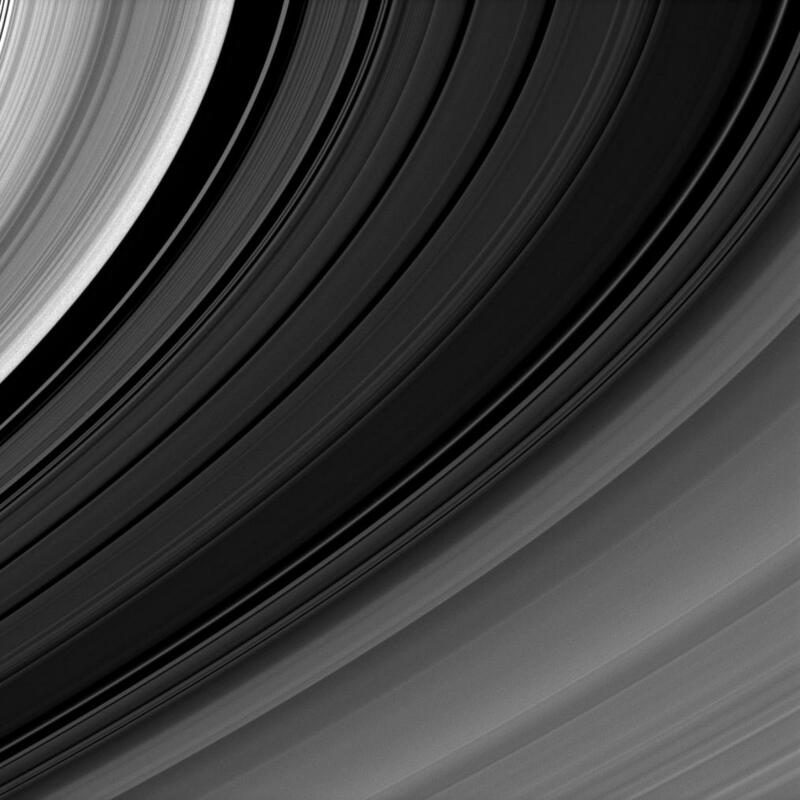 The image was taken in visible light with the Cassini spacecraft narrow-angle camera on Jan. 14, 2009. 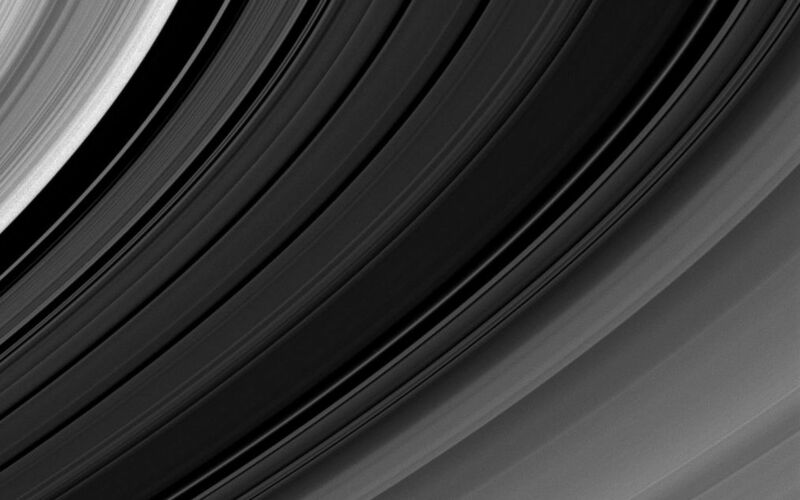 The view was obtained at a distance of approximately 551,000 kilometers (343,000 miles) from Saturn and at a Sun-Saturn-spacecraft, or phase, angle of 155 degrees. Image scale is 3 kilometers (2 miles) per pixel.